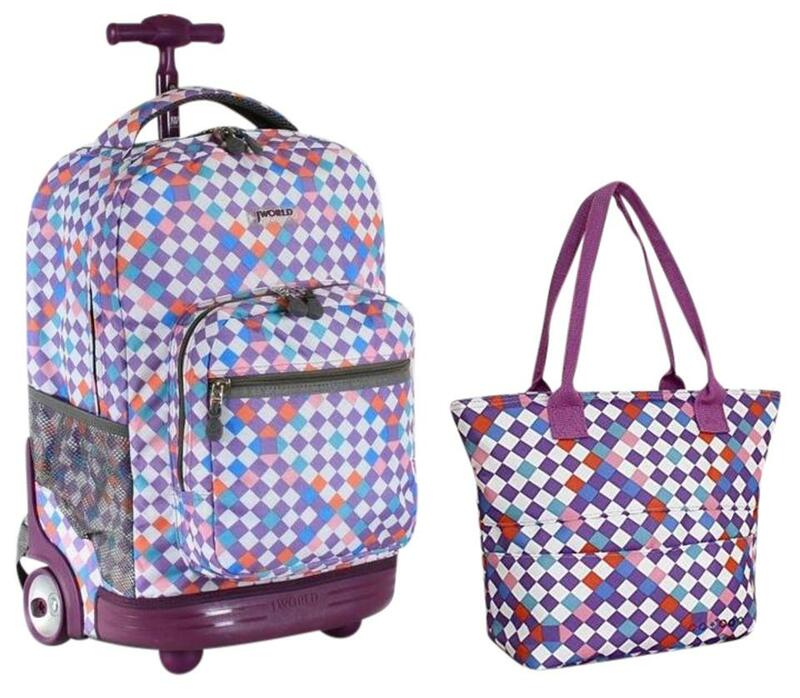 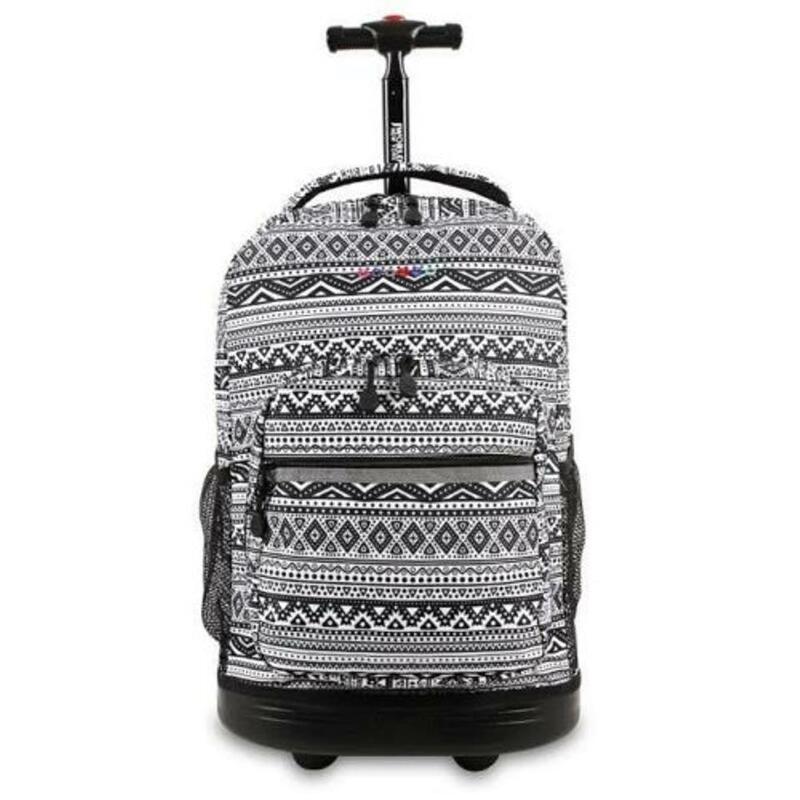 Go traveling, back to school, or to a sleepover in style, with your belongings neatly stowed in the J World Sunrise Rolling Backpack. 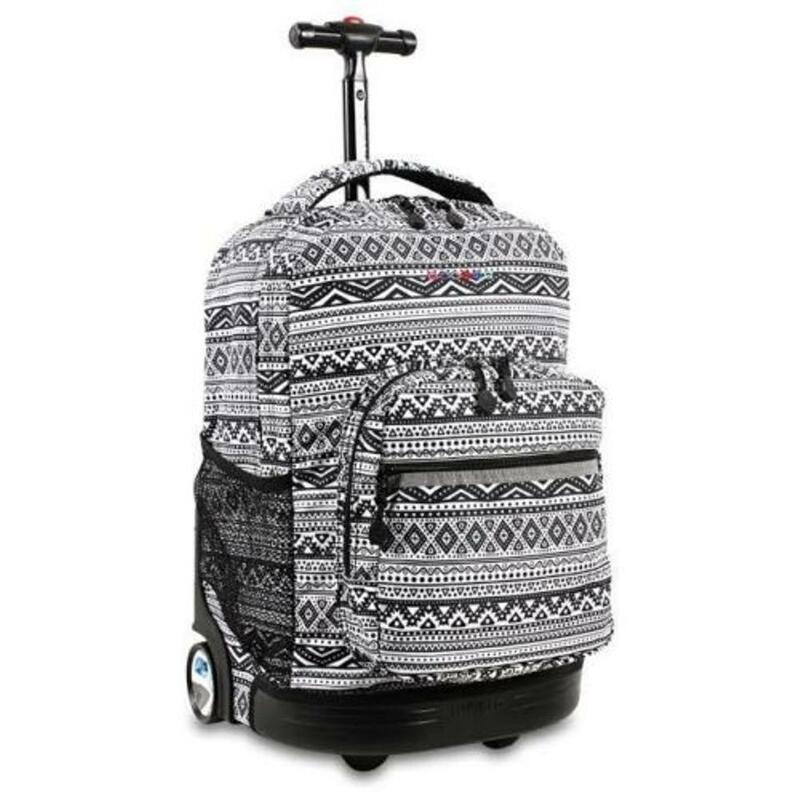 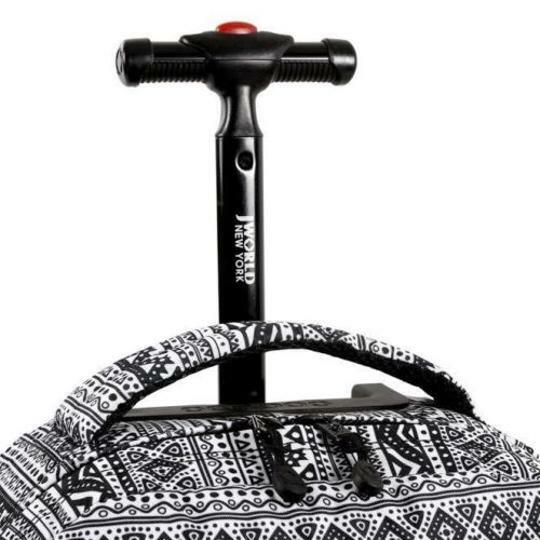 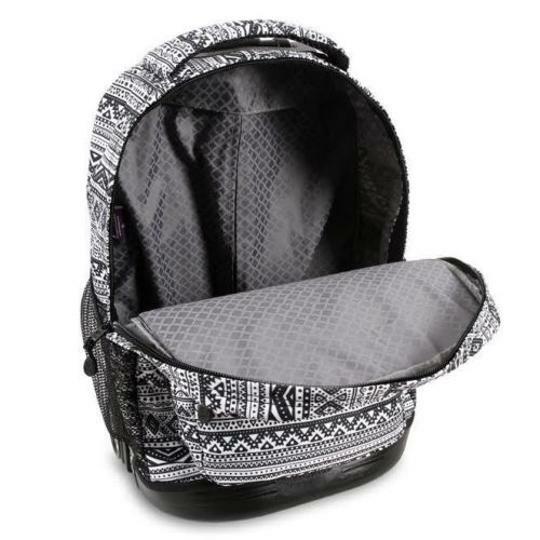 The versatility of the Sunrise Rolling Backpack allows for it function as both carry- on luggage that will fit under the airplane seat or overhead compartment and a strapped backpack for students. 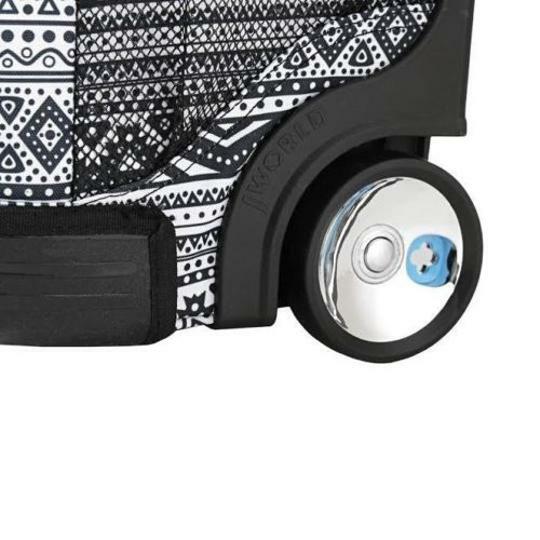 It has fully functional wheels that are both soft and noiseless that allows for a controlled motion. 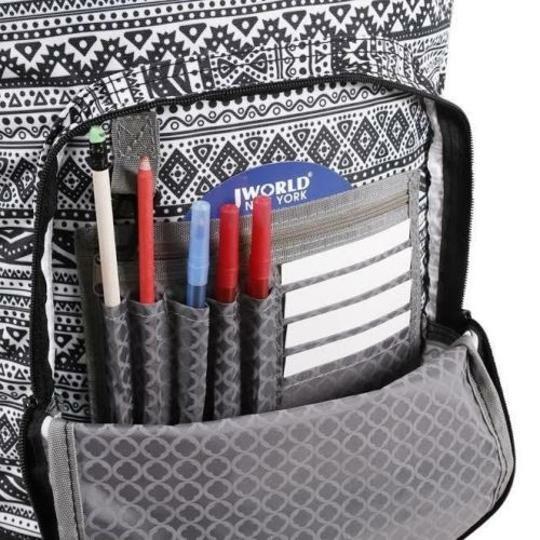 Organize all of your belongings with a front pocket equipped with a pencil holder, key fob and mesh pocket perfect for storing items that can be easily accessed. For the people on the go in need of hydration, it has side mesh pockets that are ideal for storing water bottles and various other drink containers. 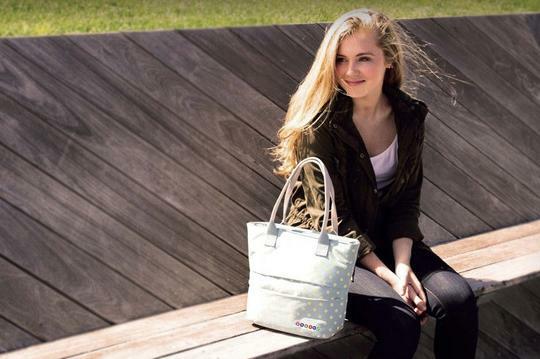 J world new york lola is a fashionable lunch tote. 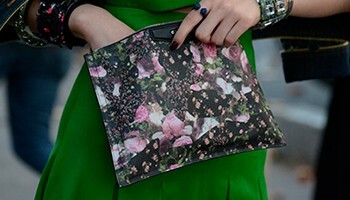 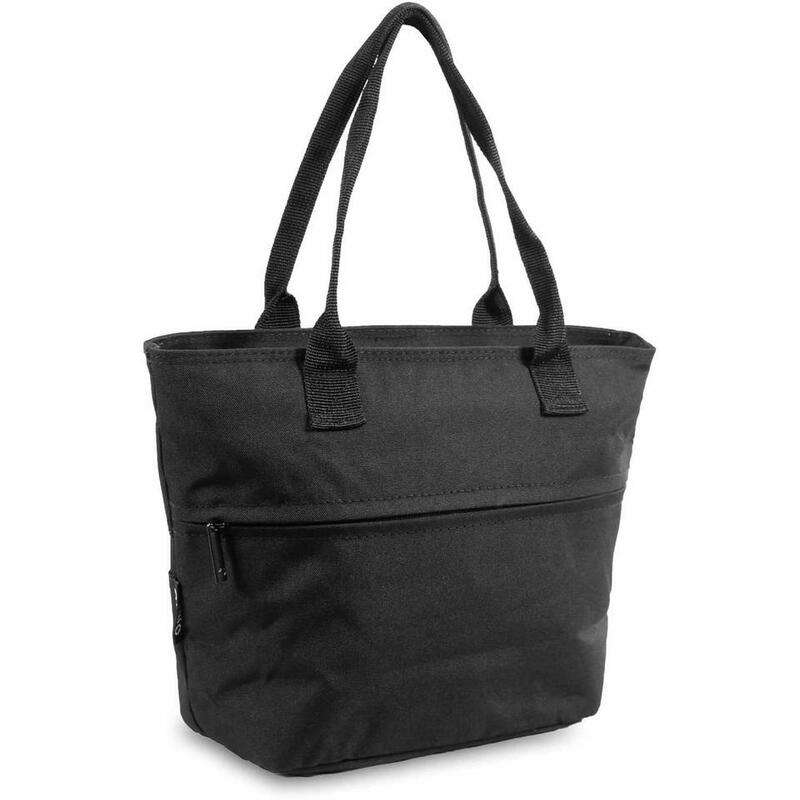 Lola is perfect for those that are tired and embarrassed of carrying around a brown bag for lunch. 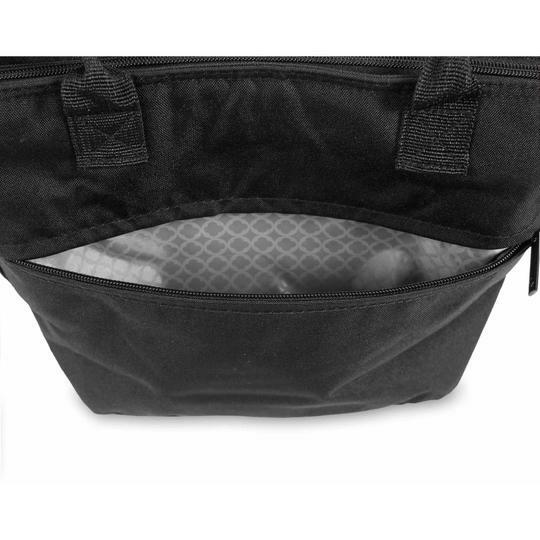 The interior provides insulation which keeps your food fresh. The tote also has a back pocket for personal belongings.